Suite D - 211 3rd Ave E.
• Suite is in the lower level of the 1320 sq. 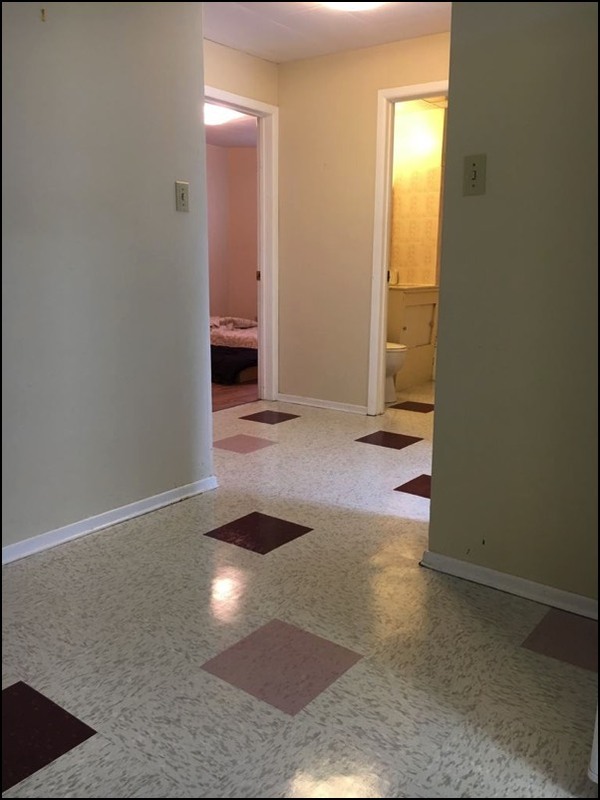 ft. 4 suite apartment house. 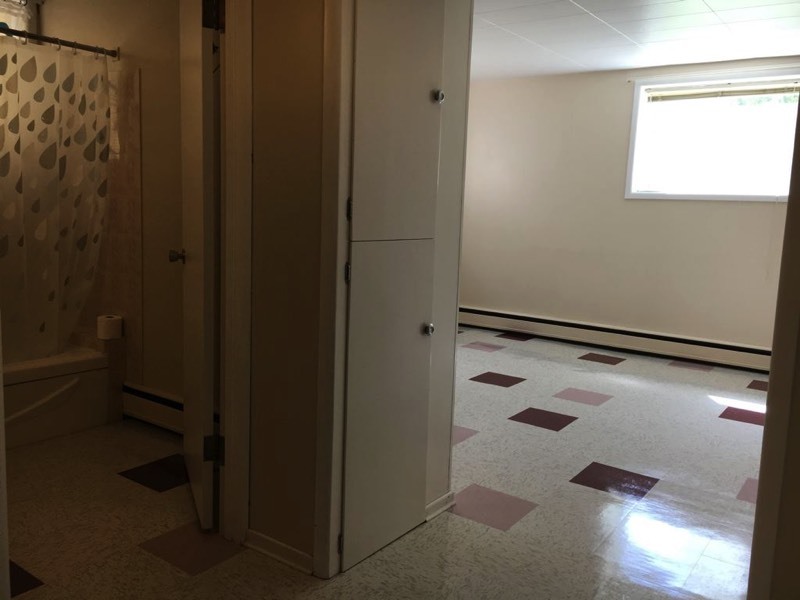 • Laundry room (shared with suites B and C) is on this floor. • 1½ blocks from downtown. 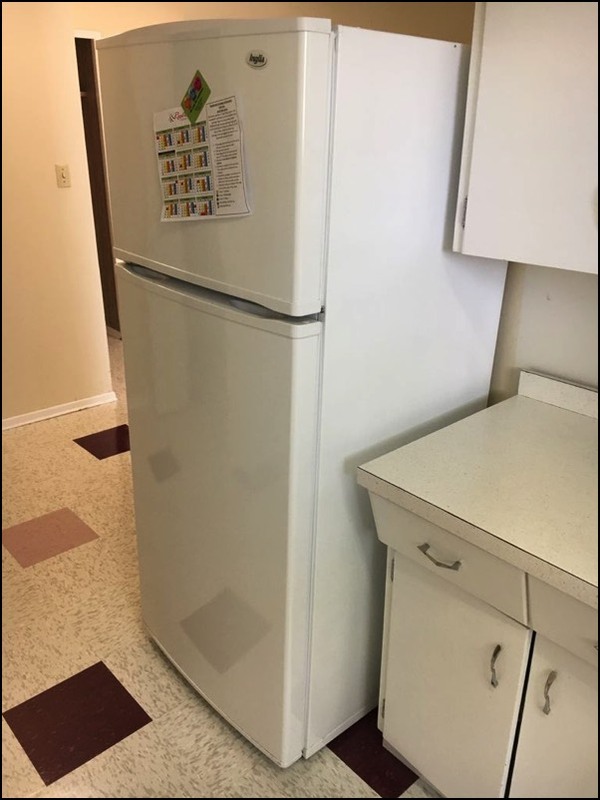 Clean, quiet, older building. • Fair amount of storage space in this suite. • 5 large outside windows. • Minimum 1 year lease required. 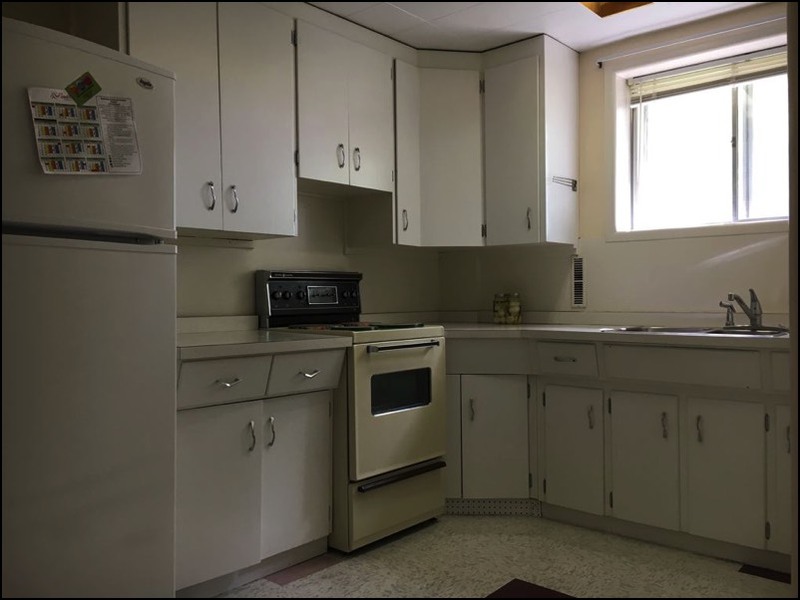 Smallish kitchen, but has plenty of cupboards. Bright window over sink faces street (south). Crazy amount of cupboard space in this suite. 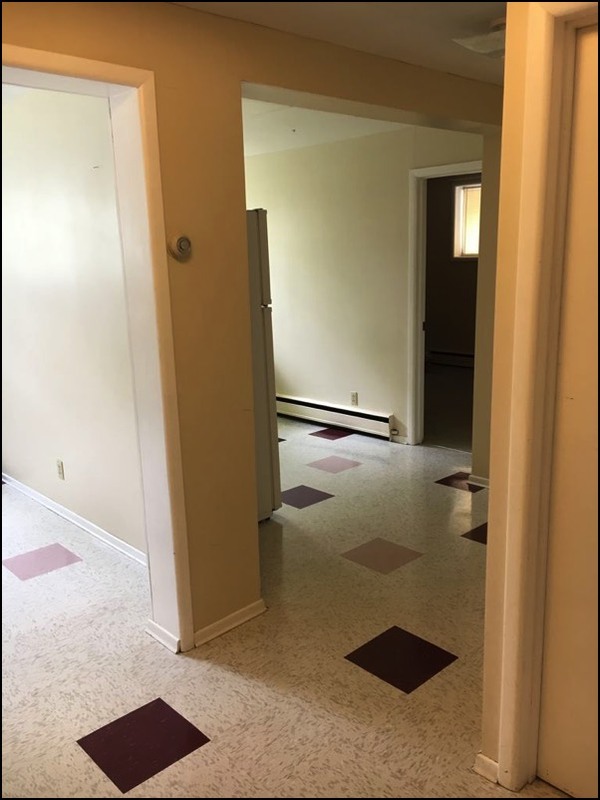 Because the windows are so large, it does not seem like this is a basement suite. The building has a raised basement, allowing for the oversized windows on the lower level. The ceilings are close to a full 8’ high. 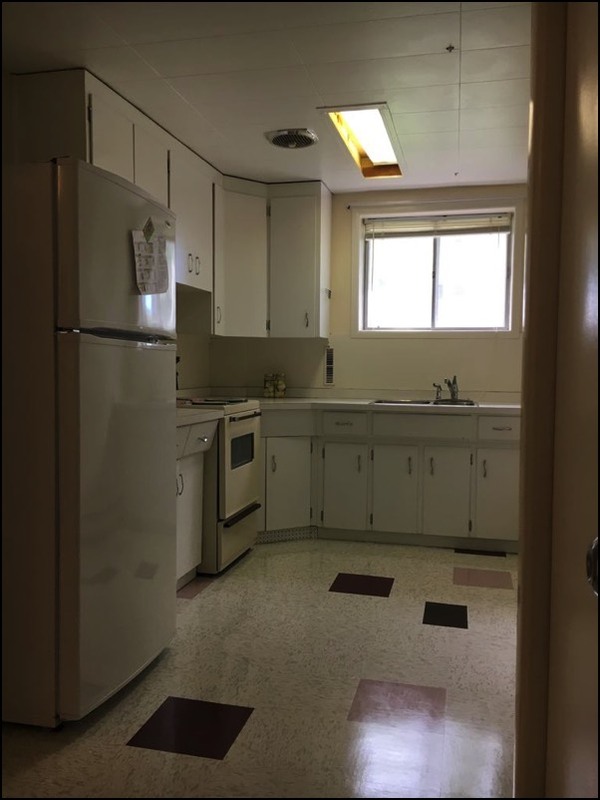 2nd view of kitchen. The main bedroom is to the right of the kitchen. 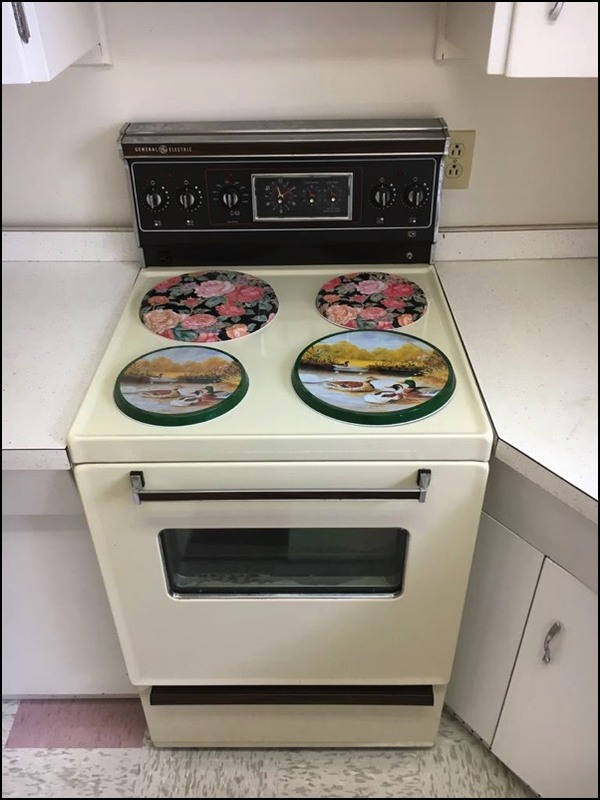 Newer fridge, but the stove is from the 1970s, but still works well. 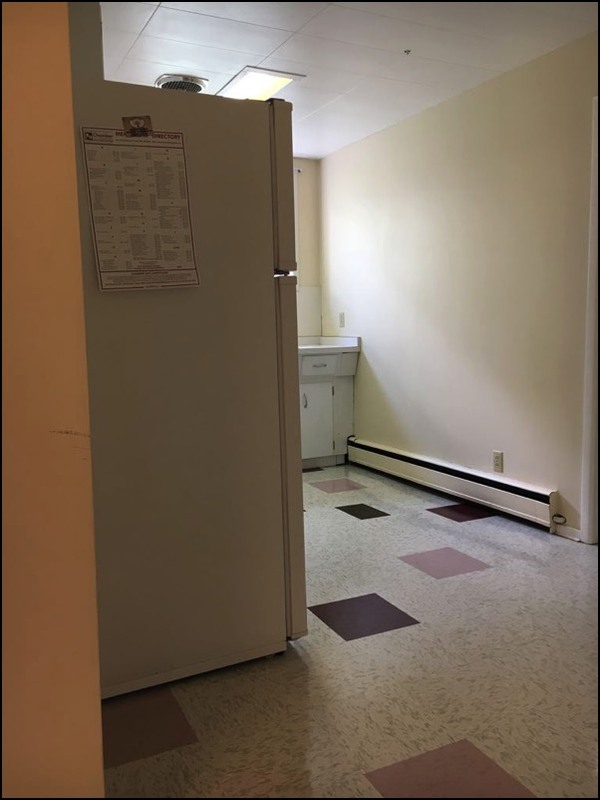 There is lots of cupboard space in the suite. This is when you first walk in … the living room is on the left in this photo, and the kitchen in the middle, and the main bedroom on the right. The living room and kitchen face the street (south) and the bedroom faces west. 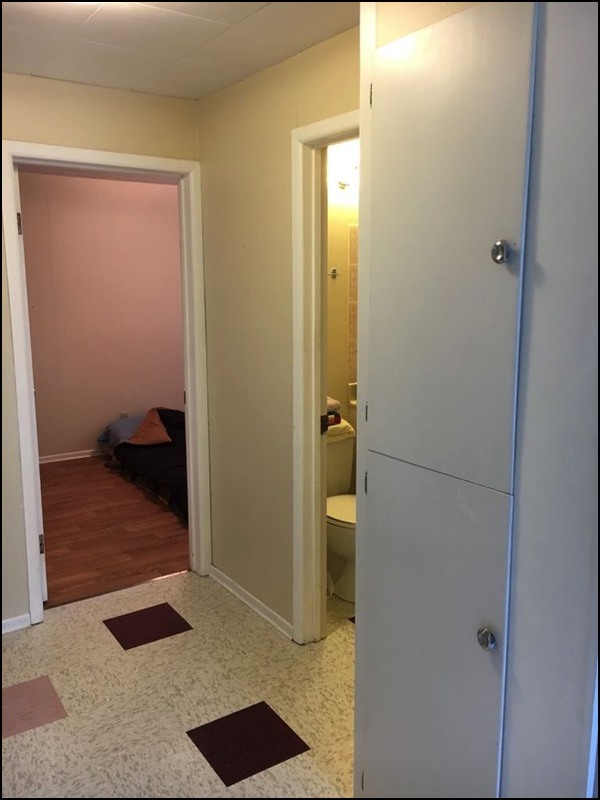 Full bathroom, also has east facing window. 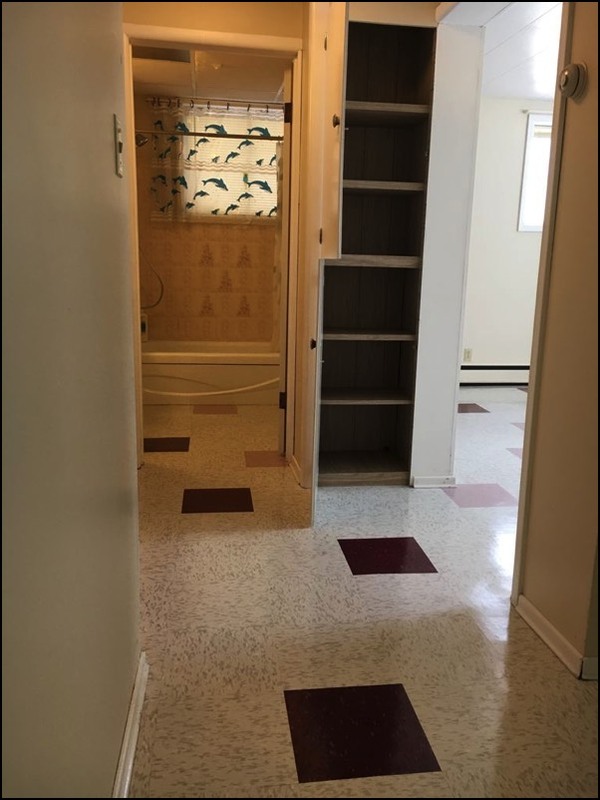 Extra storage space in hall closet. This view is looking into the main bedroom with a west facing window. 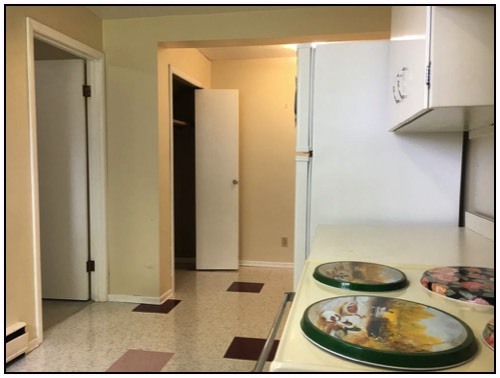 The kitchen is off to the left, and the white door on the very right goes out into the main part of the basement. 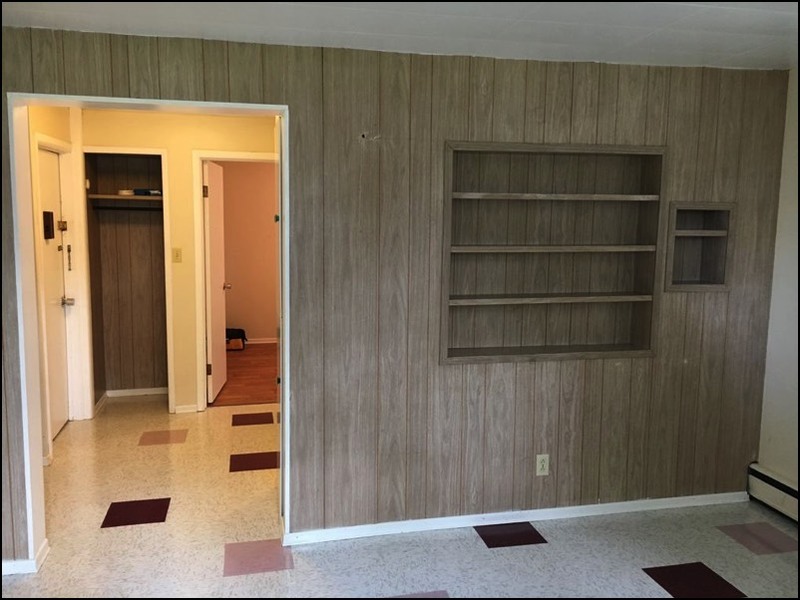 The 2nd bedroom is on the east side of the building, and also has a nice large closet, and new linoleum that looks like hardwood. The suite is fairly roomy with three closets / shelving cupboards in the main part of the suite, and one more in each bedroom, and one in the bathroom. Generous living room, large window faces south (street). It has a south facing window (on the right) and an east facing window (the smaller one on the left). Built in bookshelves in living room. 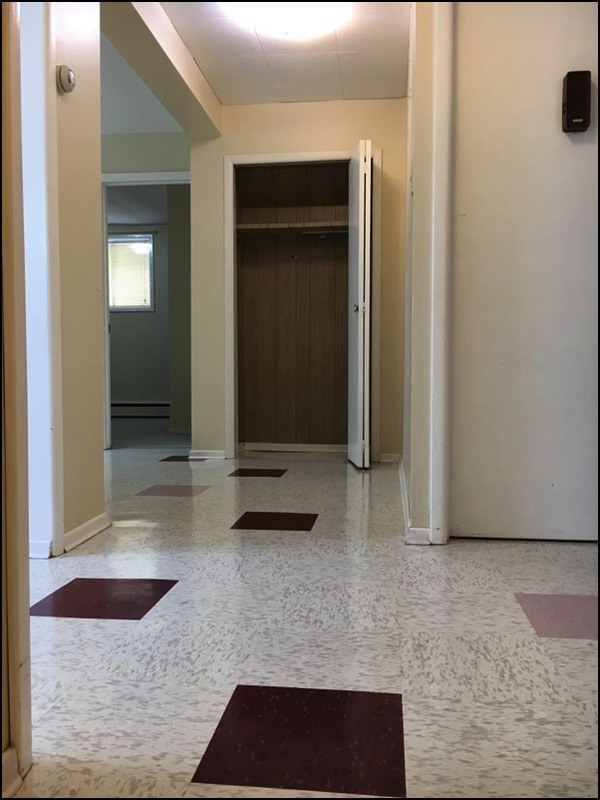 In the left background, you are looking at the entryway closet and at the door that leads out into the main hallway of the building. That is where the laundry room is, as well as the secure north entry to the building. The large windows make this basement suite very bright. Ceramic tile tub surround. On the back of the bathroom door is a glass towel rack the is from early in the 20th century! 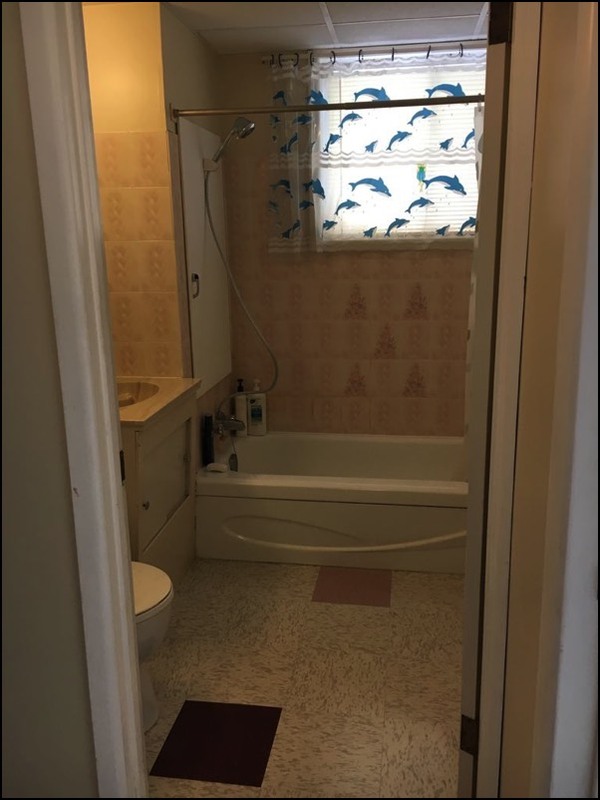 There are shelves behind the door at the tap end of the tub. Layout of lower level including common areas and Suite D. The laundry room is shared with suites B and C. Entry to the suite is at the “hallway with 2 closets”. 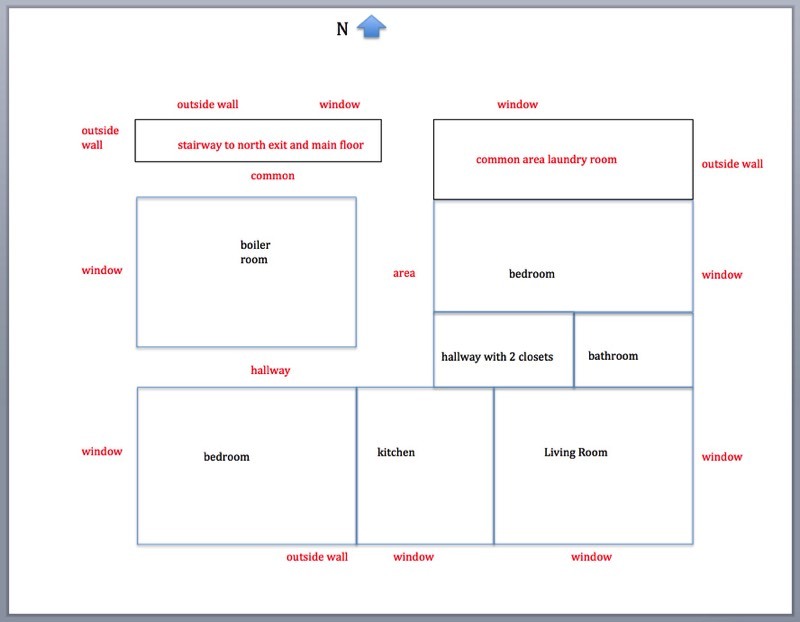 The dimensions are not to scale, this is just an idea of the layout. Suite D is in the lower level - the 3 windows within the blue siding. 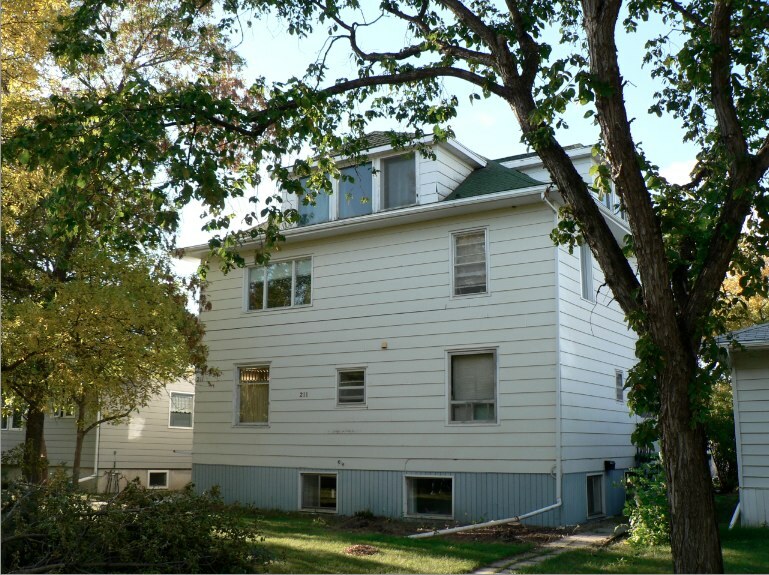 The left most window is above the kitchen sink, the right window (on the front (south - street) side of the house is in the living room, as is the smaller window on the east side. Beyond that, which you cannot see, is the bathroom window. The main bedroom is on the west side of the house and also has a large window. 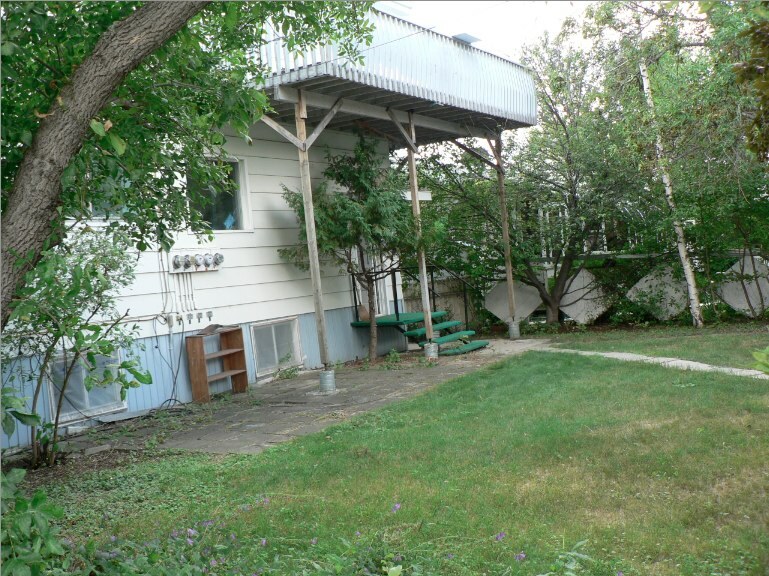 The back yard of the building. Faces north. There are two parking spots off the alley, as well as 2 spots ($35 each, first come first served) in the garage.